There is a lot of used-to-be in Wiley Cash’s sophomore novel, This Dark Road to Mercy. Wade Chesterfield used to be a baseball player, used to be a husband and used to be a father. But he went oh-for three and now, as a guy who used to hang drywall and is on the run, he is mostly a crook. Bobby Pruitt had been a ballplayer too, but his damaged youth led him in a dark direction, and now he is an enforcer for a local thug. He would like to apply his professional skills to Wade, not only in service of his current employer, but as personal payback for something Wade had done to him on the ballfield. He presents a clear and present danger not only to Wade but to his family. Brady Weller used to be a police detective, but after he was involved in an event that left a boy dead, he became an installer of home security systems, working for his brother-in-law. There is more going on with Brady, though. He is also a court-appointed guardian to children in need of such protection in Gastonia, North Carolina. This includes two young girls. Easter Quillby hasn’t been around long enough yet to have much in her rear-view. But more than most pre-teens. Wade had surrendered custody of her and her little sister, Ruby, a few years back, and mom died recently of a drug overdose. Have a nice childhood. She and Ruby live in a state-run orphanage. Easter, Brady and Pruitt are the three alternating narrators through whose eyes we see the events in Cash’s tale. We see Wade mostly through Easter’s eyes. The action of the novel consists of Wade re-entering the girls’ lives after years of absence, snatching his daughters to join him as he flees dark elements in Gastonia, Pruitt pursuing Wade do him harm, and Brady trying to protect the girls. There are white-knuckle moments in this chase. There are several threads (maybe red stitching?) running through The Dark Road…. Baseball figures large. Page 1 introduces Easter on a ballfield. Wade was a professional player, as was Pruitt. And when baseball is in play, one need not look too far to bring in the element of steroids. Wade and Pruitt have a history with them, and one of them still imbibes. 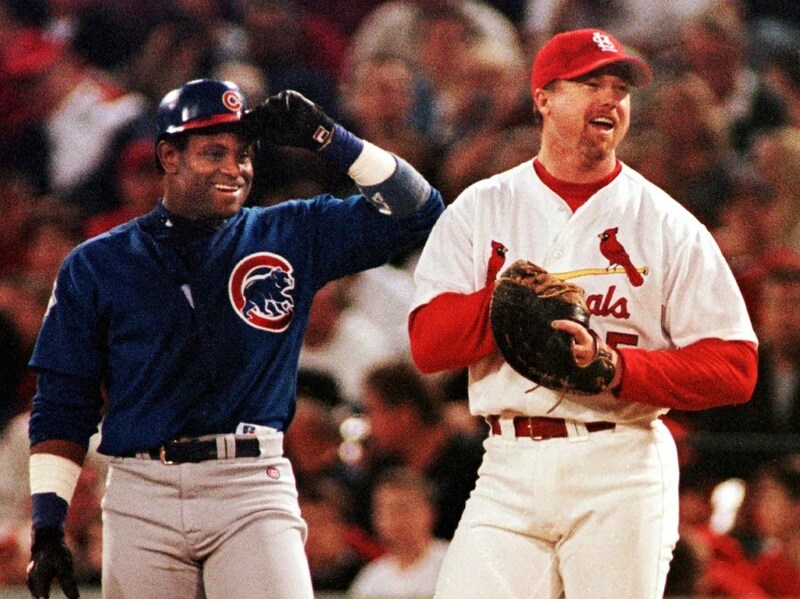 And speaking of steroids, the time is 1998, and McGwire and Sosa are engaged in the most famous ‘roid-fueled home run derby of our age. The contest is large in the consciousness of these characters, and a subject of widespread daily conversation in the environments they inhabit. The heavy-hitters’ contest is even used in a very Hitchcockian way to provide a dramatic backdrop for the climax. Another seam here is parenting. Wade is not a complete screw-up. He may not have made the best choices, and he may not be, exactly, the best person, but he does love his kids, and wants to be a father to them. But abandoning them for several years and snatching them on his way out of town was probably not what a good parent might do. Pruitt’s upbringing comes in for some inspection as well. And Brady copes with having a surly teenager he only gets to see some of the time. Finally, atonement comes in for a look. Wade may be a criminal, but he does want to make up for having left his children. He really wants to make a better life for them. Brady wants to atone for his part in the fatal accident, and does so by acting to protect vulnerable children. Pruitt is more interested in payback than atonement. Another item you might keep an eye out for is the notion of what’s in a name. Mom always said that she’d named us what she’d named us because those were her favorite things: Easter was her favorite holiday and rubies were her favorite jewels. Me and ruby used to ask Mom all the time what her other favorite things were, and we’d pretend those things were our names instead…It seems crazy to say we played make-believe like that now, but we used those names so much they almost became real. Easter has to contend with a real-world decision concerning her name, and there is at least one adult in the story with a temporary alias, and another who has adopted a new name permanently. Finally, this is a road trip, (it is even in the title) and that usually means a journey of self-discovery. The girls’ fondness for the computer game Oregon Trail foreshadows their later journey with Wade. What will these characters discover, how will they change, grow or wilt on this trip? A Catcher in the Rye mention does let us know there is some of coming of age going on. The girls are looking for a family. Pruitt is looking for revenge and Brady is looking for redemption. Wade is looking for some sort of gateway to a Promised Land. This is an engaging and fast-paced story. A pretty fair read. I do have some gripes of course. While the attempt for a North by Northwest moment was ambitious, it was not fully realized. Of course by then you have already enjoyed 95 percent of the book so it is not a huge issue. I still read Stephen King and I usually do not much care for his endings either. I did feel that some decisions made by characters here were stage-managed a bit too much. Why such and like has to take place here and then might fit into the author’s desire for the most dramatic possible setting, but did not make all that much sense to me as something the characters would actually do. There are also some convenient events that are inserted into the story to prepare one for the finale. It seemed to me that these were artificial and a bit jarring. Fine, whatever. It’s still a pretty good read, and those elements might not make your Spidey senses tingle the way they did mine. This Dark Road to Mercy is indeed dark, but illuminated. 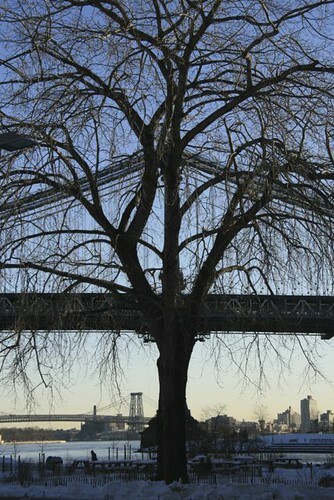 There is plenty of road to contrast with a desire for home, and sufficient dollops of mercy to soothe sundry pains. This road is one worth taking. In the 2002 ML baseball draft, Matt McCarthy, a Yale lefty with a fastball that had occasional familiarity with 90+mph was drafted in the 26th round by the Anaheim Angels. 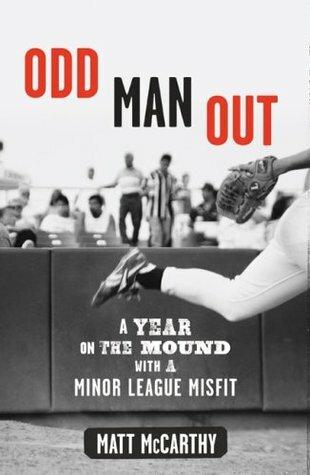 He was urged by friends and relations to keep a journal of his experiences, and those journals form the basis of this 2009 story of his single season in the sun of professional baseball. When the book came out, there was a bit of a firestorm. McCarthy got some of his names, dates, and possibly facts wrong enough that the New York Times highlighted them in two articles. (The links are at the bottom of this review.) It does sound to me that he got a few things wrong. It is even possible that his characterization of this player or that might cause those people some harm. I have no way of knowing the truthfulness of McCarthy’s writing. But I am familiar with how difficult it can be to reconstruct events several years after the events, based on handwritten notes, so am inclined to give McCarthy the benefit of the doubt, and ascribe no malice to his writing. I expect that mistakes which do appear in the book are simply off the plate and are not intentional beanballs. In several instances, I expect that people are simply embarrassed at some of the revelations and it is easier to deny them than to take responsibility. So what’s the big deal? Frankly, I do not think there is one. I have read my share of baseball books, and I did not find this one to be exceptional. There were some bits of information that were not at all surprising, such as the use of steroids, (The only surprise might be that there were players who were not using) and the horrors of massive bus rides, the low-wage life that most of these players endure, and the mix of fresh blood on the way up and older players on the way down, high draft picks being handled with kid gloves, and lower draft picks being treated with far less kindness. Class as defined by draft rank may be different from class as defined by wealth or race, but the results are similar. The eagerness of some families in Provo to take in players for a season was a bit of news for me. Aside from a laugh here or there it was mostly pedestrian material, IMHO. That the coach was a character offered some spice. And a ballpark visit by Larry King, his much younger trophy wife and a vile offspring was amusing in a horrifying way. While McCarthy writes in a very readable, breezy style, there are plenty of baseball books that offer more substance. Jim Bouton’s Ball Four remains the standard beaver-shoot-and-tell example if you are looking for player shenanigans. Bottom of the 33rd: Hope, Redemption, and Baseball’s Longest Game is another that offers a look at the minors, although for a much more defined moment in time. Slouching Toward Fargo by Neal Karlen gives the reader some sense of the non-ML minors. 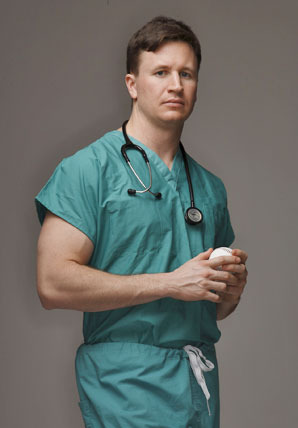 McCarthy, realistic about his pro-ball prospects, always kept a hand in his other career option, and continued working and studying towards a life in medicine, no, not sports medicine, but infectious diseases. He is now a practicing physician. Odd Man Out is neither a grand slam nor a strikeout, but more of a seeing eye single ahead of a stolen base.